Summary of remarks made during hearings before the House Subcommittee on Government Operations and the Committee of Government Operations of the Senate on the establishment of the Department of Urban Affairs and Housing. Albert, Carl, 1908-2000. 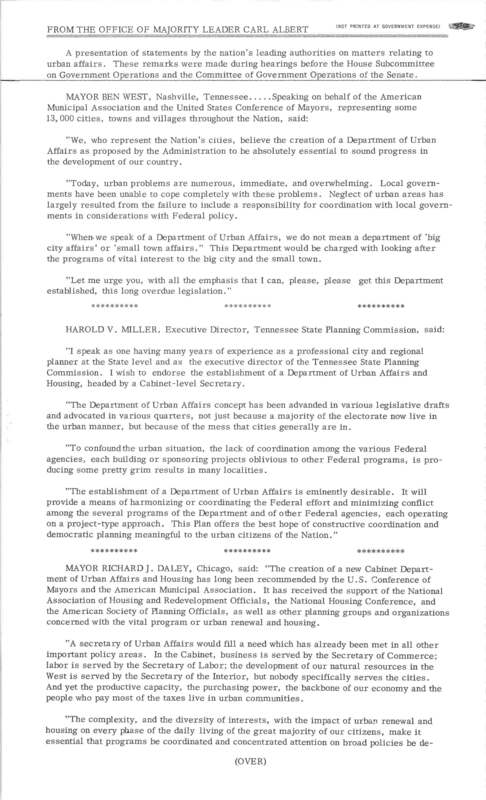 "Summary of hearing remarks.." Original document, Carl Albert Congressional Papers, Legislative Series.. Accessed 25 April 2019. http://acsc.lib.udel.edu/items/show/286. Original document, Carl Albert Congressional Papers, Legislative Series.